The action didn’t disappoint at the Winter Meetings in Dallas, and the offseason maneuvering is still in full swing. Stay up on all the trades, signings, rumors and analysis with the Hot Stove MLBlog. AL teams talk to Cubs about Soriano The Cubs traded Carlos Zambrano to the Marlins on Thursday. 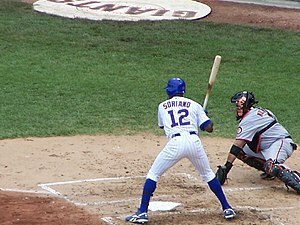 Could Alfonso Soriano be the next to go? According to reports, the Orioles were one of a few American League teams who talked to the Cubs about a possible deal involving Soriano. FOX Sports’ Ken Rosenthal reported Thursday the Cubs could not find a match for the outfielder after talking to a few teams. Soriano, who turns 36 on Saturday, is owed $54 million over the final three years of his contract. On Thursday, Theo Epstein was asked about Soriano, and said the outfielder is still a valuable offensive player and that it’s up to the Cubs to get the best out of him. Prado, Jurrjens likely to remain with BravesResponding to MLB.com’s early November report that Jair Jurrjens or Martin Prado might be traded this offseason, Braves general manager Frank Wren said he felt both players would still be with his club at the start of Spring Training. With the start of Spring Training a little more than six weeks away, this is starting to look more like a possibility. The Braves have spent the past couple months talking to a number of clubs about these players. But with questions surrounding both Prado and Jurrjens, there is growing reason to wonder if Wren should wait until June or July to trade these players with the hope they will have had time to regain some of their respective values. This might not be comforting news to those anxious Braves fans that have increasingly become more uncomfortable as the Marlins and Nationals have made significant attempts to strengthen their respective bids to end the Phillies’ supremacy in the National League East. The Marlins stole the headlines in early December with free-agent signings of shortstop Jose Reyes, left-handed pitcher Mark Buehrle and closer Heath Bell. They grabbed more attention this week by trading with the Cubs for Carlos Zambrano, who will make manager Ozzie Guillen‘s clubhouse even more interesting and possibly strengthen the starting rotation. The up-and-coming Nationals bolstered their starting rotation with the Dec. 23 acquisition of left-handed pitcher Gio Gonzalez. This week, they may have emerged as the favorites to land Prince Fielder. But instead of reacting to these moves in a knee-jerk fashion, Wren has dealt with the reality of an extremely tight budget and avoided the temptation to significantly upgrade his lineup by trading any of his coveted top four pitching prospects — Julio Teheran, Randall Delgado, Arodys Vizcaino and Mike Minor. The Orioles learned that this last month when they inquired about acquiring Jurrjens, Prado and two other “premium guys” in exchange for outfielder Adam Jones. The Braves obviously declined that offer. But they still have interest in Jones and could continue talking about the outfielder if the Orioles are willing to make a more reasonable offer that would likely be void of pitching prospects and not include both Prado and Jurrjens. While the Braves have shown a willingness to talk about Prado and Jurrjens, they understand that both players could still provide significant value to this year’s team. Prado’s history shows that he could easily bounce back from last year’s injury-plagued, frustrating season and provide some production in left field while serving as dependable insurance for soon-to-be 40-year-old third baseman Chipper Jones. The Tigers and Rockies are among the teams who have shown the most interest in Prado and expressed the belief that he could regain the form he had when he was an All-Star second baseman in 2010. The 28-year-old Venezuelan’s .260 batting average this past summer was likely influenced by the fatigue he battled after missing a month with a staph infection. Jurrjens’ value was at its highest level when he entered this year’s All-Star break with a National League-leading 1.87 ERA. But he struggled mightily as he posted a 5.88 ERA after the break and then missed the stretch run for a second straight year because of a troublesome right knee. Jurrjens believes his right knee will be sound as he wears a knee brace while pitching this year, and the Reds were among the teams that expressed interest in him. In fact, the Braves thought they might have been nearing a deal before the Reds landed Mat Latos from the Padres in December. With some health-related questions surrounding Tim Hudson, who underwent back surgery in November, and Tommy Hanson, who missed 2011’s final two months with a sore right shoulder, the Braves could seemingly benefit from keeping Jurrjens around for at least the season’s first couple months. If Jurrjens finds early-season success and proves his knee is sound, the Braves could certainly find his value on the trade market to be more significant this summer. At that time, the club might be in position to feel more comfortable about adding yet another young pitcher to its already rather green starting rotation. Angels discussing long-term deals with Kendrick, AybarThe Angels have begun extension talks with the representatives for second baseman Howie Kendrick and shortstop Erick Aybar, general manager Jerry Dipoto confirmed Thursday. Kendrick and Aybar are both lifelong Angels, are both heading into their final years before free agency and are both coming off arguably their best seasons. The Angels’ other two arbitration-eligible players are first baseman Kendrys Morales and third baseman Alberto Callaspo, both of whom have two seasons to go before hitting free agency. Dipoto said there is no timetable for the Kendrick and Aybar negotiations, but that those are the only two they’re negotiating with right now. Kendrick’s agent, Larry Reynolds, declined to go into specifics. Dipoto says Angels are “very unlikely” to sign MadsonContrary to swirling Internet rumors — and essentially a process of elimination — the Angels are “very, very unlikely” to sign free-agent closer Ryan Madson, general manager Jerry Dipoto told The Los Angeles Times on Thursday. Dipoto’s statements are consistent with those he made from the Winter Meetings in early December, when he said he was looking for someone to “complement [current closer] Jordan Walden, not replace” him. But Madson’s market has dried up considerably as teams have used a deep talent pool of closers to fill their ninth-inning needs, and it took a major hit when the Red Sox traded with the Athletics for Andrew Bailey. Madson’s present scenario, his Orange County, Calif., roots and the Angels’ bullpen struggles last season seemingly made the two a fit. But the Angels have already spent nearly $330 million on Albert Pujols and C.J. Wilson this offseason. And now, Dipoto has basically shot down his team’s chances of adding a proven closer like Madson. You probably shouldn’t completely rule it out just yet, though. Madson’s agent, Scott Boras, can be real creative and Dipoto has already displayed an element of surprise. If Madson is willing to take less money, and perhaps even sign a backloaded deal — like Pujols and Wilson did — maybe, just maybe there’s still a glimmer of hope. As we’re experiencing with the Nationals and those links to Prince Fielder that don’t seem to go away, there are very few certainties in the free-agent market. Reds sign BrackmanThe Reds completed the signing Wednesday of right-handed pitcher and local product Andrew Brackman to a one-year contract. Terms were not immediately available. The 26-year-old Brackman, who was the first-round Draft pick of the Yankees in 2007 (30th overall), was born and raised in Cincinnati and was a two-sport star at Moeller High School. Signed by New York to a four-year, $3.35 million Major League contract out of North Carolina State, Brackman’s selection came with risk since the club knew he would promptly require Tommy John surgery on his right elbow. In three Minor League seasons, Brackman was 15-29 with a 5.11 ERA. The Yankees declined his 2012 option after last season. Dombrowski: Tigers aren’t in trade talks on startersThough the Tigers have been linked in rumors with talks on Cubs right-hander Matt Garza, team president/general manager Dave Dombrowski said Detroit has no trade talks ongoing on any starting pitchers. And while Dombrowski won’t call any of his top prospects untouchable, a term he rarely uses on anybody, he made it clear they aren’t looking to deal Jacob Turner. That doesn’t mean Turner isn’t available for the right deal, but it indicates they aren’t going out and shopping him for a veteran starter. At this point, Dombrowski said, the Tigers haven’t reversed course on their plans to go after a fifth starter to compete with prospects such as Turner, Drew Smyly and Andy Oliver. They’ll still listen, he said, but they’re not looking. And the inquiries that have been made, he said, haven’t gone far. Dombrowski also said Al Alburquerque’s recent elbow surgery won’t put them in the market for another reliever. They signed Octavio Dotel knowing that Alburquerque was dealing with off and on injuries. Dombrowski didn’t rule out re-signing Joel Zumaya if he accepts a minor-league contract, but that nothing has changed on that front either. Padres nearly done with roster constructionFew general managers have been as busy this offseason as Padres GM Josh Byrnes, who on Saturday pulled off his sixth trade of the winter in trading for White Sox outfielder Carlos Quentin. With that trade, the Padres are already close to being a finished product — well before heading to Arizona for the start of Spring Training next month. “We’re getting close,” Byrnes said on Tuesday. The Padres could still add a late-inning reliever and have to decide if they’re going to hold onto first-base prospect Anthony Rizzo or move him before Spring Training. In their deal with the Reds last month — when they acquired right-hander Mat Latos — the Padres received first baseman Yonder Alonso, who will get first crack at winning the first-base job. Pirates sign Jo-Jo ReyesLefty Jo-Jo Reyes has agreed to a Minor League deal with the Pirates, a source confirmed to MLB.com. Terms of the deal were not immediately known, though Reyes is expected to participate in the Pirates’ big-league camp this spring. Reyes, 27, became a free agent last month when the Orioles opted not to tender a contract to the left-hander, who was arbitration eligible for the first time in his career. In 2011, Reyes made 20 starts for the Blue Jays before being designated for assignment in late July. He was subsequently picked up off waivers by Baltimore, which used Reyes in nine games (five as a starter) over the season’s final two months. Reyes combined to finish with a 7-11 record and 5.57 ERA. 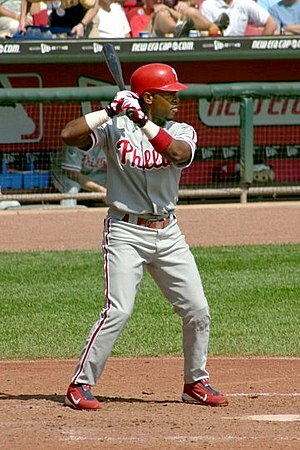 A former second-round pick in the 2002 First-Year Player Draft, Reyes has made 70 career appearances (62 starts) in parts of five seasons in the Majors. He spent the first nine years of his professional career in the Braves organization. Yankees discussing Edwin JacksonThe Yankees are balking at a high asking price for the Cubs’ Matt Garza and have instead turned their attention to free-agent right-hander Edwin Jackson, CBSSports.com’s Jon Heyman reported Tuesday. Noting that the Yankees and Jackson “aren’t in any way close to a deal,” Heyman suggests that New York and agent Scott Boras could eventually find middle ground. Boras has been reported to be looking for a four- or five-year pact for Jackson worth approximately $15 million per season. That could prove too high for the Yankees, who have been preaching fiscal responsibility this winter and would not get involved with free agents C.J. Wilson or Mark Buehrle, despite their stated need for a starting pitcher to slot behind CC Sabathia in the rotation. Matt Garza & the YankeesThe Cubs are not going to deal Matt Garza unless they get significant players in return, and the asking price apparently is too high for the Yankees. ESPNNewYork’s Wallace Matthews reported Tuesday the Cubs’ asking price is “out of the question” for the Yankees. The Cubs reportedly want at least two and possibly three of the Yankees’ top prospects Jesus Montero, Manny Banuelos and Dellin Betances. The Red Sox, Tigers, Marlins and Blue Jays also have been linked to Garza, but FOX Sports’ Ken Rosenthal reported the Blue Jays also have reportedly balked at the Cubs’ requests. Cordero and Reds still talkingThere could be some movement, one way or another, in the next few days on free-agent closer Francisco Cordero. The Reds are still in the running. “We’re still talking with [Cincinnati] and a couple of other clubs,” Cordero’s agent, Bean Stringfellow, said on Tuesday. “We’re making progress on a lot of fronts. Multiyear contracts are definitely involved. Stringfellow declined to detail the specific numbers being bandied about with the Reds in negotiations. It seemed like he was optimistic about where talks were going with the different clubs and that a deal was possible. Crisp returning to Oakland?Though the A’s are in full rebuilding mode, they may be close to reeling back in a veteran outfielder. According to ESPN’s Jim Bowden, Coco Crisp is on the verge of re-signing with Oakland, for which he hit .264 with eight home runs and a career-high 49 steals in 136 games last season. Crisp’s desire to join a winning ballclub on a multiyear deal has been well documented, but so has his interest in remaining on the West Coast, given his California roots. 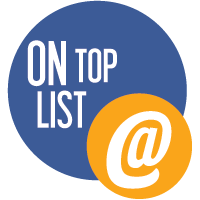 At one point, Crisp was heavily linked to the Giants, another time the Cardinals and on Monday evening it was the Orioles who were reportedly in on the center fielder. But if Bowden’s report holds true, the A’s would add experienced depth to what right now is an unproven outfield boasting the likes of Michael Taylor, Collin Cowgill and Josh Reddick. Report: Nationals front-runner for FielderA report from the Journal-Sentinel in Milwaukee says the Nationals are the front-runner to land All-Star first baseman Prince Fielder. The Nationals have repeatedly denied such rumors, continuing to publicly say that Adam LaRoche will be the club’s first baseman in 2012, but the Journal-Sentinel’s Tom Haudricourt cites an MLB official who says Washington is leading the chase for Fielder. The report says the Nationals may not offer the eight- to 10-year deal that Fielder’s agent, Scott Boras, is seeking. They club might want a shorter deal, but Haudricourt believes if the Nationals can match or exceed the $25.4 million annual salary that Albert Pujols is getting from the Angels, Boras and his client should still be pleased. Garza reportedly on Marlins’ wish listToss Matt Garza’s name into the mix of possible Miami trade targets. Acquiring another front-line starting pitcher remains a priority, and reportedly Garza fits the mold. Ken Rosenthal of FOXSports.com claims the Marlins have “serious interest” in Garza. No deal is close, but the interest makes sense. To seriously compete in the National League East, the Marlins are looking for as much starting pitching depth as possible. They’ve already signed free agent Mark Buehrle, and they made a strong push for C.J. Wilson, who eventually signed with the Angels. Miami also pushed hard for Gio Gonzalez, who ended up being traded from the A’s to the Nationals. Garza, 28, is projected to make between $9-10 million in arbitration in 2012, and he isn’t eligible for free agency until after the 2013 season. The Cubs reportedly are seeking a trade package similar to the deals that sent Mat Latos from the Padres to the Reds and Gonzalez to Washington. There is stiff competition for Garza, who also is being coveted by the Yankees and Blue Jays. The Cubs are looking for top prospects, and the Marlins are willing to part with some of their high-end young talent for an established starter. Outfielder Christian Yelich, part of Class A Greensboro’s championship team, is highly coveted. The Marlins have made it clear that Logan Morrison and Mike Stanton are off limits, but they would be willing to move other young players, if the deal made sense. Quentin dealt to Padres for two hurlersThe White Sox and Padres pulled off a trade Saturday afternoon that sends outfielder Carlos Quentin to San Diego in exchange for two Minor League pitchers. The White Sox will receive 23-year-old right-hander Simon Castro and 22-year-old lefty Pedro Hernandez from the Padres. Quentin, 29, is a two-time All-Star who has hit at least 21 homers in each of the last four seasons with Chicago. He was drafted by the D-backs in the first round of the 2003 First-Year Player Draft and spent two seasons with Arizona. 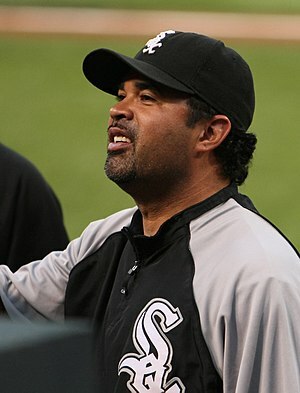 His first year with the White Sox, in 2008, was his best so far, as he hit .288 with 100 RBIs and 36 homers. He has played either left or right field his entire career. 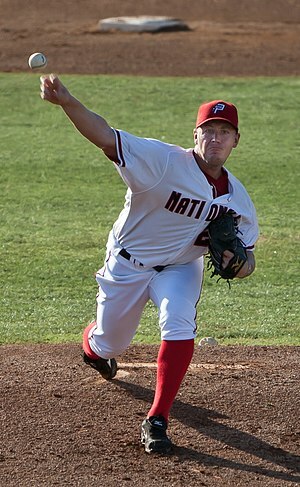 Castro, the Padres’ Minor League Pitcher of the Year in 2009, split time between Double-A San Antonio and Triple-A Tucson in 2011, posting a 7-8 record with a 5.63 ERA and 94 strikeouts in 22 starts overall. He began the season with San Antonio, where he was 5-6, before moving up to Tucson, where he was 2-2 with a 10.17 ERA. He has been in the Padres’ Minor League system for six seasons, and he was named to the Texas League mid- and postseason All-Star teams in 2010, while also pitching for the World Team in the All-Star Futures Game in Anaheim. Hernandez spent time at Class A Lake Elsinore this season, along with Tucson and San Antonio, posting a 10-3 record with a 3.49 ERA in 28 games (18 starts) overall. He recorded 94 strikeouts in 116 innings of work. The southpaw is 25-11 over five seasons in the San Diego Minor League system. Blue Jays ink Laffey to Minor League dealThe Blue Jays have signed left-hander Aaron Laffey to a Minor League contract, the club announced Saturday. The 26-year-old has spent five seasons in the big leagues, most recently with the Yankees after starting the 2011 campaign in Seattle. He was drafted by, and spent the first four years of his career with, the Indians. Last season, Laffey was 3-2 with a 3.88 ERA in 47 relief appearances. He held left-handed hitters to a .242 average. He has made 49 starts in his career and owns a lifetime 4.34 ERA. The Blue Jays also announced they have signed the following four Minor League free agents with invitations to Spring Training: right-hander Jerry Gil, right-hander Garrett Mock, right-hander Robert Coello and shortstop Brian Bocock. Blue Jays close to deal with OliverToronto is close to signing veteran reliever Darren Oliver to a one-year contract with a possible option for 2013, MLB.com’s TR Sullivan has reported. Oliver has spent at least a part of 18 seasons in the big leagues, the most of which (10 seasons) were with the Rangers. He was with Texas from 1993-98, then again from 2000-01 and for the last two seasons. 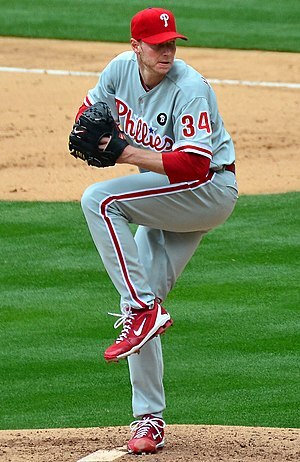 In 2011, the 41-year-old right-hander was 5-5 with 16 holds and a 2.29 ERA through 51 innings of work. He allowed six hits and four runs in 6 1/3 innings of postseason ball. The Blue Jays would be the ninth Major League club that Oliver has suited up for. Matt Garza hot topicCould the Cubs deal Matt Garza? They are apparently still listening to teams interested in the right-hander. The Cubs are most likely looking for a package similar to what the Padres received from the Reds for Mat Latos and what the Athletics received from the Nationals for Gio Gonzalez, which means a lot of talented prospects. According to reports, the Blue Jays and Yankees may be the front-runners. What makes Garza attractive to the Jays and Yankees is his 23-15 record, 3.34 ERA in 56 career games vs. the AL East. Plus, he’s 7-4 with a 3.83 ERA in 19 games against the Red Sox. Chicago helped its system by dealing Sean Marshall to Cincinnati for Travis Wood and two other players. Theo Epstein, Cubs president of baseball operations, has said Garza is “exactly the type of pitcher we want to build around” but is willing to listen as the team re-tools. They’d have to be overwhelmed to move Garza, who is under team control through 2013. Gonzalez, 26, and Latos, 24, will be under team control for at least four years. Shrinking market making Madson to Angels possibleExactly how possible remains to be seen. But on Wednesday afternoon — after the Red Sox acquired Andrew Bailey from the Athletics in exchange for three young players — it became more possible than ever. With the Red Sox, a team with money to spend, filling a huge need in the back end of their bullpen by acquiring the young Bailey, the market for Madson has reached a new low. It’s now pretty clear that the 31-year-old right-hander won’t get anything close to what the Phillies reportedly offered him before turning their attention to Jonathan Papelbon (a four-year, $44 million contract). But just how much of a pay cut he takes is the big question. It’d have to be a pretty sizeable one for the Angels to be a fit, now that the team has committed more than $330 million to Albert Pujols and C.J. Wilson. But it’s interesting to note that Wilson turned down a larger contract for the Marlins in order to sign with the Angels and return to Orange County, Calif. — where Madson was also born. Angels general manager Jerry Dipoto said during the Winter Meetings that his mission was to “complement [closer] Jordan Walden, not replace Jordan Walden.” In tune with that, he signed veteran right-hander LaTroy Hawkins to potentially help lefty Scott Downs in a setup role. But getting Madson would be a far bigger step towards improving a bullpen that was tied for first in the American League in blown saves last season. So far, it appears the Rays and Reds are the two main teams that still need a closer. But the Reds and Francisco Cordero reportedly want a reunion, and the Rays don’t have the financial wherewithal to allocate a lot of money to the ninth inning. Time for Scott Boras to get creative with Madson. Signing Dobbs Marlins’ top priorityExploring the market for a frontline starting pitcher is high on the Marlins’ shopping list. But it’s not the club’s most immediate priority. Right now, bringing back free agent Greg Dobbs is a main objective, and the team is hoping to finalize a deal done soon. In 2011, Dobbs provided veteran leadership as well as some timely hits. Of late, the Marlins have been working on getting a deal done. If they can lock up Dobbs before New Years, it would cap a highly productive month of December for the Marlins. The Marlins made a big splash early in the month by signing free agents Heath Bell, Jose Reyes and Mark Buehrle. Dobbs, a non-roster invitee with an invitation to Spring Training last year, enjoyed a highly productive 2011. Initially, the 33-year-old was used as a left-handed bat off the bench, but he ended up getting regular playing time, mainly at third base, and batted .275 with eight home runs and 49 RBIs in 411 at-bats. As a pinch-hitter, Dobbs made a big impact, posting a .370 (10-for-27) batting average with a home run and eight RBIs. If Dobbs comes back, he will fill the important role of left-handed bat off the bench. The Marlins are not expected to sign any more big ticket free agents. Miami is looking at trade possibilities for a starting pitcher, primarily a front of the rotation-caliber starter. The team isn’t seeking competition for the back end of the rotation. A major trade is more likely to find a starter than signing a free agent. From an organizational standpoint, the Marlins have hired Bobby Ramos as their Latin American player development coordinator. Ramos, formerly the Rays’ bullpen coach, is taking on a new position in the organization. Stanton, Morrison off limitsWith Mike Stanton and Logan Morrison regarded as “off limits,” the Marlins are finding it difficult to trade for frontline starting pitching. Miami pursued Gio Gonzalez for more than a month, but Oakland’s asking price always included either Stanton or Morrison. Because the Marlins are not willing to part with either, they are finding it difficult to lure in a legitimate All-Star pitcher. If the Marlins had more high-end prospects, perhaps they would have been able to swing a deal for Gonzalez. They don’t, and the A’s on Thursday dealt their All-Star left-hander to the Nationals. Miami’s search for a frontline starter continues. For Gonzalez, the Marlins were willing to part with any number of their top Minor Leaguers. They just weren’t willing to do it at the expense of their every day lineup. So what’s next? Javier Vazquez, who had a remarkable second half, maintains he is retiring. The Marlins aren’t expecting him back, and they’re looking in other directions. Left-hander Joe Saunders has been mentioned, but don’t count on it. The Marlins already signed Mark Buehrle, who is not overpowering. They aren’t looking to have two soft-tossing southpaws, especially for the $7 million that Saunders commands. Keep in mind, Miami seeks a top of the rotation pitcher, not just an innings eater. James Shields is in the mix, but not at the price of Stanton or Morrison. Wandy Rodriguez and Roy Oswalt may be more realistic options. As of now, the Marlins’ rotation is Josh Johnson, Buehrle, Anibal Sanchez, Ricky Nolasco and Chris Volstad. Lefty Wade LeBlanc was obtained by the Padres to add experienced depth. Clearly, the Marlins would like to add another established arm, but they won’t force the issue. If need be, they may continue their search into Spring Training, ideally finding someone before Opening Day. The Cubs have agreed to a one-year Major League deal with reliever Manuel Corpas, an industry source confirmed to MLB.com’s Thomas Harding. Corpas was in Chicago on Thursday for a physical. The 29-year-old right-hander last pitched in the Majors in 2010 with the Rockies. He underwent Tommy John surgery later that year, and the Rangers signed him to a Minor League contract in April. He pitched in the instructional league and played winter ball in Panama. Corpas has a 12-16 record with a 3.93 ERA for his career, striking out 206 batters and walking 80 in 286 innings. He was never a strikeout artist, averaging 6.5 K’s per nine innings in five Major League seasons. But he limited his walks (2.5 per nine innings for his career) and induced ground balls at a respectable rate. He is best known for his work during the Rockies’ run to the World Series in 2007, when he saved 19 games with a 2.08 ERA in 78 innings of work. He finished the 2007 postseason with five saves and a 0.87 ERA. The Cardinals have officially announced that they’ve agreed to a two-year deal with free-agent outfielder Carlos Beltran, pending a physical. The deal is reportedly worth $25 million-$26 million. That would be the largest outlay by the Cardinals to a free agent not already in the organization since Jason Isringhausen received a guaranteed $27 million before the 2002 season. A switch-hitting outfielder, Beltran has one of baseball’s most well-rounded offensive games. He is a lifetime .283 hitter with both on-base ability (a career .361 average) and power (.496 slugging percentage). He’s one of the most efficient basestealers in Major League history, with 293 steals in 334 attempts for an 87.7 percent success rate. In 2011, he put up a combined .300/.385/.525 line in 142 games with the Mets and Giants. Beltran, a three-time Gold Glove winner in center field, moved to right field in 2011 as he made his way back to full strength from knee surgery. He will likely start the 2012 season in right field, with Lance Berkman moving to first base in place of Albert Pujols, while Allen Craig is out due to his own offseason knee operation. Once Craig comes back, Beltran would probably still play plenty of right field. But he also could get more time in center field, spelling Jon Jay against left-handed pitchers and allowing new manager Mike Matheny a great deal of flexibility in making out his lineup. The Twins are close to reaching an agreement with free-agent starting pitcher Jason Marquis, according to a FOXSports.com report. The Twins, however, have not commented on the report. Marquis, 33, posted a 4.43 ERA in 23 starts with the Nationals and D-backs last season. He also struck out 76, walked 43 and allowed 11 homers in 132 innings. 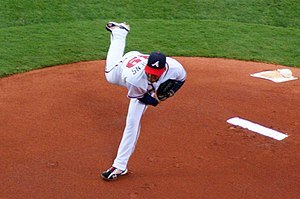 The right-hander has a career 4.55 ERA in 12 seasons with the Braves, Cardinals, Cubs, Rockies, Nationals and D-backs. Marquis would fill a need as a back-of-the-rotation starter, as left-hander Brian Duensing remains a likely candidate to be moved to the bullpen this season. Twins starters combined to post the third-worst ERA in the American League last season (4.64) while striking out just 617 batters in 961 innings. Marshall for Wood nearly done?The Reds appeared close Wednesday to completing a trade that would land left-handed reliever Sean Marshall from the Cubs in exchange for young lefty starter Travis Wood and two Minor Leaguers. According to ESPNChicago.com, the deal was agreed to pending physicals. A source confirmed the Reds’ interest in Marshall to MLB.com, but did not expect the trade to be consummated on Wednesday. Cincinnati currently has a vacancy for the closer’s role, but are looking at Marshall as a lefty set-up man. Braves did not offer Prado, Jurrjens to O’sThe Braves did express interest in Adam Jones. But they did not offer Martin Prado and Jair Jurrjens to the Orioles in exchange for the outfielder. A source with knowledge of the Orioles’ negotiations disputed a Baltimore Sun report that indicated the Braves were rejected when they offered Prado, Jurrjens and a pitching prospect for Jones. The source said the Braves were told Jones was unavailable when they asked about him a couple weeks ago. The Orioles later called the Braves to see if they would trade Prado, Jurrjens and two other “premium guys” in exchange for Jones. The Braves said they were not interested, and the two clubs have not had any recent discussions about these players. Angels may still be in play for bullpen helpDespite a lack of financial flexibility, the Angels continue to seek ways to address their bullpen situation. Depending on his price, one option may be veteran closer Francisco Cordero. His agent, Bean Stringfellow, told WEEI.com on Tuesday that the Angels are one of four teams in play for the right-hander, along with the Reds — his former team, which reportedly wants him back — the Red Sox and a fourth, unidentified club. Cordero is perhaps the best — and most expensive — free-agent reliever remaining after Ryan Madson, making the Angels the least likely fit among the above-mentioned clubs. Beanfellow told WEEI.com Cordero is looking for a multi-year deal and is only interested in going into a situation where he’s the clear-cut closer (which, in Anaheim, would mean the young Jordan Walden is supplanted). The Angels have also reached out to former reliever Darren Oliver, a source familiar with his thinking told MLB.com. Oliver’s preference is to return to Texas, but is “not ruling out other contending teams,” a source said, adding that in order to accomodate the Angels, Oliver would be willing to defer most of his salary. Oliver put up a 2.29 ERA in 61 appearances last year, but is 41 and would come in as the third lefty in the Angels’ bullpen — along with Scott Downs and Hisanori Takahashi. Some other, cheaper options in the free-agent bin: Luis Ayala, Juan Cruz, Scott Linebrink, Guillermo Mota, Dan Wheeler and Jamey Wright. Most of them, however, may not sign deals until more materializes later in the offseason. Sources told MLB.com the Angels have yet to reach out to Ayala or Wheeler in particular. Another interesting candidate is Joel Zumaya, the former Tigers flame-thrower who missed all of 2011 after undergoing exploratory surgery on his right (throwing) elbow. Zumaya performed in front of what was believed to be about 50 scouts in Houston on Wednesday, and someone in attendance told FOXSports.com’s Ken Rosenthal he threw his fastball from 93-96 mph and had a decent curveball and OK command. Cubs re-sign Johnson to one-year dealThe Cubs have reportedly agreed to a one-year contract with free agent outfielder Reed Johnson, pending a physical. Johnson, 35, batted .309 in 111 games last season with the Cubs. He’s a perfect extra outfielder and great guy in clubhouse, and he batted .305 vs. left-handed pitchers. FOX Sports reported the agreement; the Cubs have yet to confirm. An offer for Fielder?The line to sign Prince Fielder may start in Seattle. Jon Heyman of CBSSports.com reported Tuesday that the Mariners have made Fielder an offer to continue his career in the American League West, the same division that snapped up Albert Pujols earlier this month. Fielder, an All-Star in three of the last five years, has hit at least 32 home runs in five straight seasons. Fielder is the son of former All-Star Cecil Fielder, and together, they are the only father-son combo to hit for at least 50 home runs in a big-league season. The younger Fielder, a former first-round draftee, batted .282 and drilled 230 homers and 656 RBIs in his first seven seasons with Milwaukee. The hulking first baseman matched his career high with a .299 batting average last year, and he established a new personal best with a .415 OBP. Fielder has walked at least 100 times in three straight seasons, and for his career, he’s a .279 hitter on the road. Fielder, just 27 years old, is reportedly seeking a long-term contract that approaches the 10-year deal Pujols signed with Los Angeles earlier in the winter. The Cubs and Rangers may also be potential suitors for Fielder, and Heyman reported Tuesday that the Orioles may also be involved.